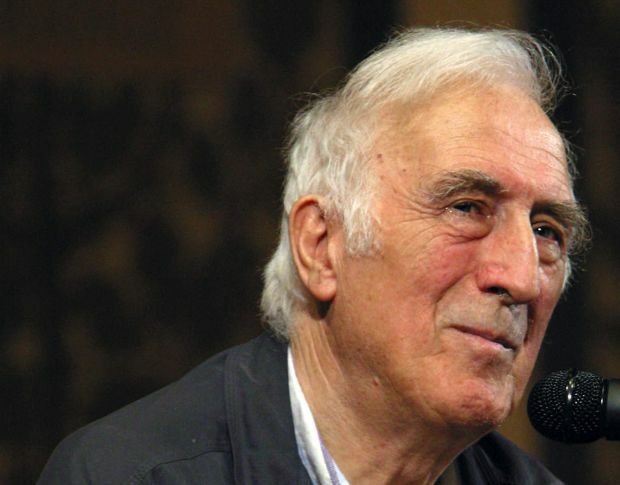 WASHINGTON (CNS) — Jean Vanier, a Catholic author and theologian who founded L’Arche, an international network of communities where people with and without intellectual disabilities live and work together, has won the 2015 Templeton Prize. L’Arche is dedicated to the creation and growth of communities, programs and support networks for people with intellectual disabilities across the globe. The movement began quietly in northern France in 1964, when Vanier invited two intellectually disabled men to come and live with him as friends, and has grown to include 147 L’Arche residential communities in 35 countries, and more than 1,500 Faith and Light support groups in 82 countries that similarly urge solidarity among people with and without disabilities. The announcement was made at a news conference March 11 at the British Academy in London by the John Templeton Foundation, based in West Conshohocken, Pennsylvania. Previous recipients include Anglican Archbishop Desmond Tutu, the Dalai Lama and Blessed Teresa of Kolkata. Vanier, 86, was born 1928 in Geneva, the fourth of five children of Canadian parents, Maj. Gen. Georges and Pauline (Archer) Vanier. His father was a highly decorated soldier in World War I and later a diplomat who served as first secretary in the High Commission of Canada in London and as Canadian ambassador to France. Vanier lived in England, France and Canada, receiving a broad education in English and French. After eight years in the Royal and Canadian navies and intense meditation and prayer, Vanier decided to devote himself to pursuits of the mind and spirit. “I’d left the navy to follow Jesus, didn’t know where or how,” Vanier told Catholic News Service in a telephone interview from London. “Then one day I went to meet my spiritual father, who was a chaplain at an institution for the disabled.” There he saw the reality of “the whole world of people with disabilities, humiliated and depressed” and felt the need to do something. “I had never even imagined that people were being treated like that,” he recalled. “I just felt that I should do something … the only thing I could do was maybe welcome two.” So he did. Vanier has traveled extensively throughout the world to establish and support L’Arche and Faith and Light communities, to give talks, lectures and retreats, especially to young people and those at the margins of society, including in prisons. Vanier is also the author of more than 30 books, including the best-seller “Becoming Human,” all of which have been translated into 29 languages. In his remarks at the news conference, Vanier recalled the story of a young woman he encountered in L’Arche’s early years named Pauline. “She came to our community in 1970, hemiplegic, epileptic, one leg and one arm paralyzed, filled with violence and rage. … Our psychiatrist gave us good insight and advice: Her violence was a cry for friendship. “It takes a long time to move from violence to tenderness,” stated Vanier, but “the assistants who saw her initially as a very difficult person, began to discover who she was under her violence and under her disabilities. They discovered that for a person, growth was not primarily climbing the ladder of power and success, but of learning to love people as they are. Vanier hopes that with the Templeton Prize his organizations and others like them can “create spaces and opportunities for such meetings, meetings that transform hearts.